Shoreham Vehicle Auctions (SVA) is planning to roll out its dealer training scheme on electric vehicles to cover LCVs to equip dealers with more knowledge on selling used electric vans. 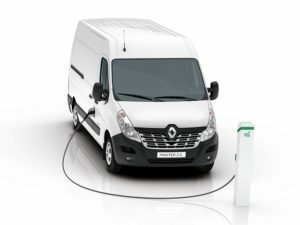 Shoreham is planning to extend its EV dealer training course to electric LCVs. The remarketing specialist launched the training course for cars last year as it noted that dealers were “hungry for EV knowledge” and has reported a resultant rise in the number of bids and sales of EVs at its auctions. A total of 100 dealers have participated in the training to date, which were set up in conjunction with the Energy Saving Trust and intended to aid sales teams at independent dealerships, giving them the confidence and knowledge to sell EVs to the right target market. SVA has also urged leasing companies to play a role in EV education as it warns that they need to get “off the fence”. SVA general manager Michael Simmons, who worked with the EST on the development of the courses, said: “Much of the industry, particularly the leasing sector have been extremely cautious about electric vehicles, but in our eyes it was simple. If we help educate used car dealers sell EVs, they will end up buying more cars and then used prices will gradually rise. “That’s why the training course was developed and we have had an amazing reaction from buyers hungry for knowledge. Business owners as well as sales managers have been on the course and we have seen the number of bids and sales of EVs at auction rise accordingly,” he added.